Let’s face it, most Buffalo lawns, especially those grown in full sun, will have a limited lifespan. The main reason for this is the increasing thatch layer of Buffalo grass which continues to build-up higher and higher until, in many cases, the Buffalo lawn will need to be removed and a new lawn planted. There are ways to manage this thatch layer, however dethatching Buffalo is a difficult task because this grass doesn’t have underground runners to regenerate from. Buffalo is a shade grass, and when grown in the shade will develop far less thatch problems than when this grass is grown in full sun. And if regular yearly dethatching isn’t undertaken on Buffalo, it becomes almost impossible to ever cut back the thatch layer as it builds from year to year. Once the decision has been made to remove an old Buffalo lawn, the next question is how to do this quickly and effectively. Should we poison the lawn several times prior to removing it, like we must do for Couch, or is there an easier way? The good news is that because Buffalo Grass doesn’t have rhizomes (underground runners), once we remove the above ground runners (stolons) which make up the lawn, the job is almost done. And, because Buffalo grass doesn’t have these underground runners like other warm season grasses, the turf cannot regenerate itself once the top thatch layer is removed. The best, fastest and easiest way to remove an old Buffalo lawn is to hire a Kanga digger from the hire shop. A Kanga digger is best suited to remove Buffalo lawns which have only an inch or two of thatch built-up. Once we have greater levels of thatch, between 3 to 10 inches high, then we must switch over to hiring a Bobcat operator to remove the old Buffalo lawn. The bobcat will also be needed to take away the rubbish, as there’s going to be a lot of it, especially on larger lawns. Our last option to remove unwanted Buffalo lawns would be by the use of a rotary hoe machine. This is where we dig through the old turf and soil, churning it up and then removing the old lawn pieces with rakes and by hand. The rotary hoe method would not be suitable for heavily thatched lawns, and would best be suited for Buffalo lawns with only an inch or two of thatch. Just be prepared that this will be a dirty and hard job! The root system of Buffalo can be deep and extensive. And planting a new lawn or even a new garden bed on top of soil such as this would be a very bad idea. 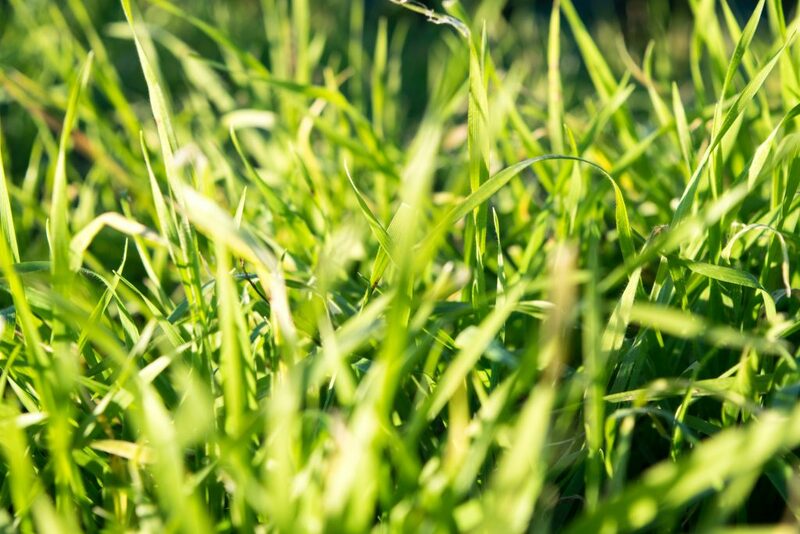 It could lead to poor lawn or garden health in the future. We must also remove the old Buffalo root system too. The best and easiest way to do this would be to go through the soil with a rotary hoe, churning-up the soil and old roots as much as possible. We then work through the soil with rakes and some hard work to remove as much of the old Buffalo root system as possible. The soil is then compacted ready for planting the new lawn or garden bed. Another option for removing these old Buffalo root systems would be to use the same Kanga or Bobcat, and to dig much deeper into the soil. The aim being to remove as much of the old matted root system as possible. You would then replace the topsoil with sandy loam ready for the new turf, or a garden soil mix ready for a new garden bed. Just be aware that this option will be far more expensive than removing the old root system by rotary hoe.